I’ve updated the posting below to hopefully clear up some misunderstandings about our reasoning behind the creation of the DAS. If you haven’t already learned about the DAS’s personality, please read that post first. It’s important to note that while the name of the company is “Das Keyboard” and currently the only available product is also “Das Keyboard,” that doesn’t mean that we won’t expand to other products as the company grows that meet the same level of quality, style, and expectations of the current Das Keyboard. The DAS is an avatar that represents the overall quality, style, and promise behind all products that are or will be offered by Das Keyboard the company. The DAS loves high quality, ergonomic, sleek looking technology, so when he needs a keyboard, his top choice is Das Keyboard. Here’s the current concept drawing of the DAS. (Many kudos to Mike at Emotions by Mike for his crazy mad skills!) Keep in mind that this is a concept drawing; the finished product will be rendered in awesome 3D. Remember, the DAS is NOT a cartoon, the drawing you see here is a simple 2D concept drawing; the final will be rendered as a high quality 3D avatar. If you don’t think having the DAS to represent the whole (future) line of Das Keyboard products is the way to go, what would you suggest? We’re looking for something that will come to mean “Das Keyboard the brand, look, quality, and idea,” not just Das Keyboard the keyboard. Design by committee can be difficult, so please try to share your thoughts in a constructive and useful way. (comments like “he looks stupid” or “add a secondary sub-dermal power transfer port 3 centimeters below the right elbow” don’t help much.) 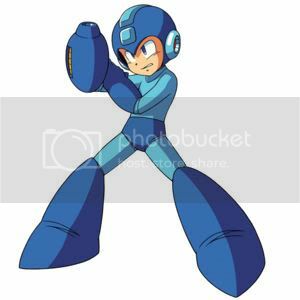 Instead, we’re looking for things like “his forearms look a bit too bulky, perhaps they should be slimmed down,” or how you, as a customer, can or can’t feel a connection with the DAS, and why. Of course, you’re welcome to say whatever you want! I’m working to get the “share me” and “retweet this” buttons up and running; until then, please share this however you’d like with anyone you think may be interested. I look forward to hearing your thoughts! I like it, although I wonder why Das Keyboard needs a mascot. Don’t your keyboards speak for themselves? I also think that a mascot is totally unnecessary for a keyboard like Das. Stupid. I don’t want my professional keyboard to be associated with a cartoon character. Ok, I’m hearing what you’re saying so far. I’ve gone back and edited to post to make the point of the DAS more clear. Hopefully that will clear up any misunderstanding about why we’re creating the DAS. I see the concept about the company wanting to manufacture more products and needing a visual representation for branding. First of all, I don’t think that this visual representation should be a mascot because it cannot be taken seriously in my opinion. Since Das Keyboard is a professional product with a professional audience such a mascot would lessen my desire toward your products when seeing your mascot. If you insist to have a mascot then you may want to have a look at http://www.atmel.com/products/AVR/ because the Atmel guys got this mascot quite right. This robot mascot is very powerful, unique and has personality. 1) I agree with those above. I vote for a simple, clean, structured logo over a mascot any day. You could even call the logo “The DAS” and it could have opinions, but without the cartoony form of an avatar. I think the simple lines and cleanliness of the keyboard will clash horribly with this idea. 2) If you are going to go with this idea of an avatar, I’m not feeling this design. Don’t get me wrong, it’s a great sketch, and I couldn’t do it…but it doesn’t feel right. It took me an hour to put my finger on it, but I finally got it. It reminds me of Mega Man. I would vote against almost any avatar for your product, but especially this one. I agree with everyone else. This seems to come out of left field. The Das Keyboard brand seems to me to be about ultimate performance without unnecessary frills. This character seems completely frivolous. Are you under the sway of marketing consultants of some kind? A simple logo that is highly recognizable. A lot of companies that have made the largest impacts used the simplest of logos. Atari with the Fuji “A”. IBM (nuf’ said). Apple. Ford blue oval. Chevrolet bow-tie. It doesn’t matter the product, the more easily recognized wins the game. Heck, Coke, Pepsi, McDonalds, and Disney spend insane amounts of money to get a simple symbol inbedded in our consciousness. Sorry for rambling on, but it comes down to keep it simple. My impression when I first saw the image. Nija turtle? Slim downed Michelin man? Oh please. A good product sells itself. If you don’t know the good in a product, you are not a customer/user of the product. You don’t need it, so save you maony for something else.